A show down between Orca and the great white shark sounds like a Las Vegas fight attraction or a Hollywood blockbuster. The big boys of the ocean are pretty similar in size, and both are carnivorous apex predators, although the great white has the bad boy reputation that makes him one of the world's most feared creatures. The great white shark measures 15 feet to 20 feet or longer. The orca grows to between 21 and 23 feet. Male orcas weigh 7 to 10 tons, females between 4 and 6 tons. 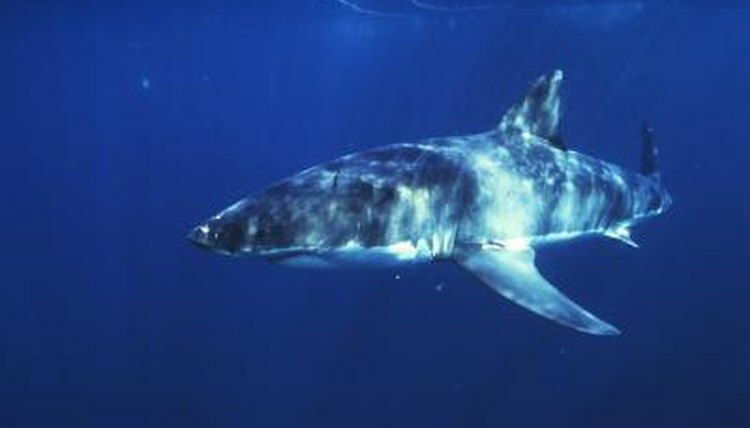 A great white shark weighs around 5,000 pounds, or 2.5 tons. An orca lives for 30 to 50 years in the wild, a great white for at least 30 years. In terms of speed in the water, the orca is the faster animal. He can reach speeds of 35 miles per hour, while the great white cruises at around 15 miles per hour.